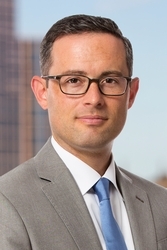 Jeremy Nash is Counsel with Lite DePalma Greenberg in its Newark, New Jersey office. He has been representing plaintiffs in consumer and securities class actions around the United States for over 10 years. Jeremy has a great track record as a consumer class action attorney. He currently represents over 10 million people in Mendez v. Avis Budget Group, Inc., No. 11-cv-6537 (D.N.J. ), a breach of contract and consumer fraud class action pending in New Jersey federal court (Law360), and hundreds of thousands of people in Bakov v. Holiday Cruise Line, No. 15-cv-2980 (N.D. Ill.), a robocall class action pending in Illinois federal court (Bloomberg). He is preparing both cases to go to trial in 2020. Jeremy’s experiences as a securities and cryptocurrency class action attorney are also noteworthy. Jeremy was a member of lead counsel’s trial team in In re Vivendi Universal, S.A. Securities Litig., No. 02-cv-5571 (S.D.N.Y. ), one of only a handful of securities fraud cases tried to a favorable jury verdict in the last 20 years. The jury verdict in that case was valued at over $9 billion (NY Times). Today, Jeremy represents plaintiffs in In re Tezos Securities Litig., No. 17-cv-6779 (N.D. Cal.). They allege that the Tezos initial coin offering (Tezos ICO), which raised the equivalent of hundreds of millions of dollars, was an illegal securities offering under U.S. law (Bloomberg). Though not a securities class action, Jeremy also represents the plaintiffs in Faasse v. Coinbase, Inc., No. 18-cv-1382 (N.D. Cal. ), in which plaintiffs allege that, in violation of California state and common law, Coinbase wrongfully kept for itself bitcoin and other cryptocurrencies that its users transferred to non-coinbase users. In addition to seeing cases through to trial, Jeremy is accumulating successes as an appellate attorney. In Vivendi, for example, he helped secure the Second Circuit’s affirmance of the jury verdict, an “inflation maintenance” theory of loss causation, and other important trial court rulings. In re Vivendi, S.A. Sec. Litig., 838 F.3d 223 (2d Cir. 2016). Several years earlier, after blocking Toyota Motor Corporation’s effort to force his client into arbitration at the trial court level, Jeremy played a central role in obtaining an order from the Ninth Circuit affirming his client’s right to sue over her defective vehicle in court (Impact Litigation Journal). Kramer v. Toyota Motor Corp., 705 F. 3d 1122 (9th Cir. 2013). Jeremy has a growing New Jersey local counsel practice involving cases that present unique procedural challenges. In State of Minnesota v. Sanofi Aventis, No. 18-cv-14999 (D.N.J. ), for instance, Minnesota was prepared to allege that several drug manufacturers located in New Jersey acted improperly to increase the cost of insulin products in violation of Minnesota law and the Racketeer Influenced and Corrupt Organizations Act. The State’s complaint, however, would contain the confidential results of its pre-litigation investigation and could not be filed publicly. Jeremy was appointed a Special Attorney of the State to, among other things, help it navigate New Jersey local practice in order to file the complaint under seal and to negotiate a protective order with the defendants to govern access to the sealed complaint (Reuters). Jeremy’s unique local New Jersey counsel practice is also reflected in the retention by a subsidiary of the Whitesell Group in In re Application of WG TOPCO S.a.r.l. for an Order Pursuant to 28 U.S.C. § 1782 to Conduct Discovery for Use in a Foreign Proceeding, No. 18-cv-4105 (D.N.J.). The point of this action is to obtain discovery from Volkswagen, located in New Jersey, under 28 U.S.C. § 1782 to further foreign litigation against BMW. Not only are few attorneys familiar with the Section 1782 application process, but this action, like the complaint filed for Minnesota, had to be commenced under seal. Besides class actions, Jeremy also represents institutional clients in high-stakes commercial litigation. Jeremy currently represents, as just one example, an apartment complex in a defective product and breach of warranty case against a major plumbing parts manufacturer in Stanford Realty, LLC v. Zurn PEX, Inc., No. 18-cv-15188 (D.N.J.). Call Jeremy today for a case evaluation at (973) 877-3815 or email him at jnash@litedepalma.com. He evaluates potential class actions free of charge. Jeremy is a member of the Association of the Federal Bar of New Jersey and speaks on topics related to class litigation for continuing legal education (CLE) programs. He was a panelist recently for a CLE program entitled, “Summary Judgment in Class Action Litigation: Plaintiff and Defense Strategies for Filing Motions” (program materials). On June 22, 2017, Jeremy Nash participated as a panelist at a seminar, Summary Judgment in Class Action Litigation: Plaintiff and Defense Strategies for Filing Motions, hosted by Strafford Publications. Learn more here. The Holiday Cruise Line robocall class action crossed a major milestone on March 21, 2019: the Court granted the plaintiffs' motion for class certification. Now, the case is not just the three named plaintiffs against one defendant. It is the named plaintiffs plus hundreds of thousands of Illinois residents against Holiday Cruise Line. Defendants in class actions sometimes seek to take discovery of "absent" class members. Those are members of a proposed or certified class who are not directly involved with the litigation. This type of discovery is generally not allowed. After all, one of the principal advantages of class actions over massive joinder or consolidation would be lost if all class members were routinely subject to discovery. Most courts thus limit discovery against unnamed class members, but do not forbid it altogether. The Court presiding over In re Tezos Securities Litigation, No. 17-cv-6779-RS (N.D. Cal. ), the first ever class action alleging violations of U.S. federal securities laws arising from an initial coin offering ("ICO"), recently appointed an individual investor to serve as lead plaintiff. Defendants located outside the United States are often named in securities and other types of class actions, which raises a sometimes confounding question: How to effect service of process? Defendants in class actions typically demand copies of plaintiffs' engagement letters under the theory that they might reveal a conflict of interest that undermines plaintiffs' ability to represent the class and thus plaintiffs' ability to satisfy the "adequacy" of representation requirement of Federal Rule of Civil Procedure 23(a)(4). The presumption in New Jersey is now that its statute of limitations governs claims pursued in the jurisdiction, eliminating an impediment to pursuing certain matters here—like some multistate class actions—that implicate the laws of two or more states. Defendants in class action lawsuits often seek a summary judgment ruling before plaintiffs have moved for class certification, but it is always a gamble to do that. Defendants who go down that road and who are fortunate enough to prevail have bound only the named plaintiff. They still run the substantial risk that a member of the proposed class will pick up the spear and take the place of the original plaintiff by filing a subsequent action. A New York federal judge recently certified two classes and several subclasses consisting of more than 20,000 New York City students with disabilities in a case alleging that the New York City Department of Education and the New York State Education Department have adopted policies denying them special education services.